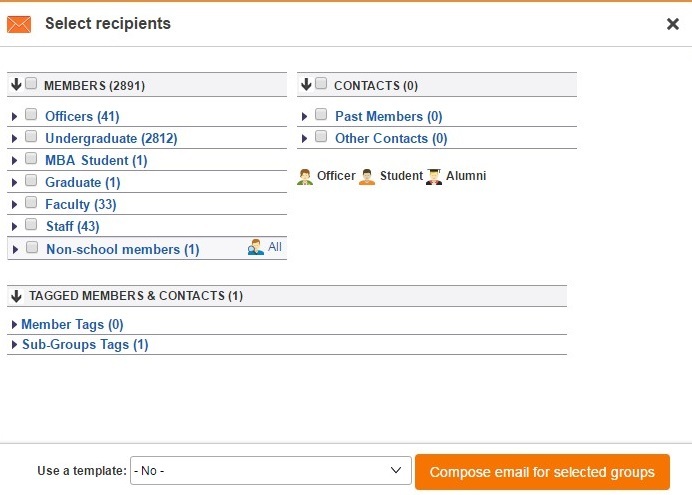 Using student account types and years of graduation or tags is an easy way to set up small groups of users that you need to email repeatedly. Click on the 'Emails' menu and then 'Compose Email'. From there, you can either email your members based on their account types and years of graduation or by using members tags. Just select the appropriate checkboxes and click on 'Compose email for selected groups'.